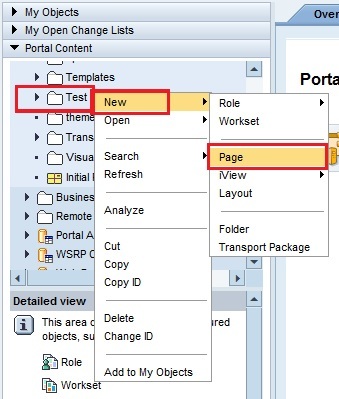 This post discusses about, How to create a Page in SAP EP Portal. You should have Portal Credentials. You should have content Admin Role assigned to your ID. The above URL is also called as FQDN (fully qualified domain name) of Portal. SSO ( Single sign on ) works only on FQDN. First you have to create a folder in which you want to create this IView. For how to create a folder please go through the following link. Right click on the folder created and select New > Page. Following page creation wizard will be opened. Enter the required details Page properties. ID: ID of the page, ID will be unique. ( Spaces or not accepted here, Mostly '_' (Underscore) is used to differentiate two words ). ID Prefix : com.company. ( company name will be your clients company name, this helps in distinguishing the standard and the custom ones ). Description: give some description about it. 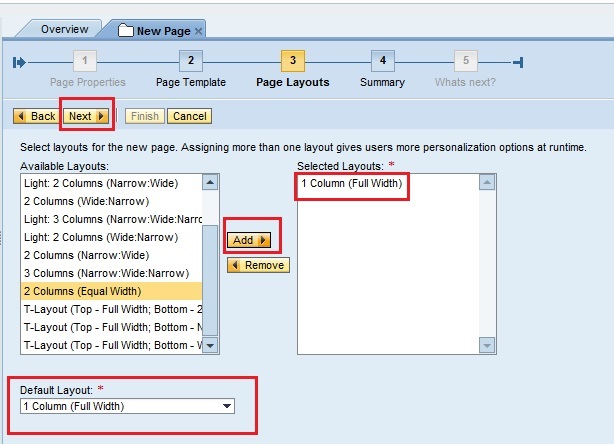 If you are creating page for a Webdynpro IView then choose WebDynpro page template. Otherwise choose Default Page Template. you will get this kind of option in from EP 7.3. In earlier version you will not asked for this type of selection. For difference between Web Dynpro Page and Default Page Template click on below link. Difference between Web Dynpro Page and Default Page Template. For creating a Webdynpro page click on below link. 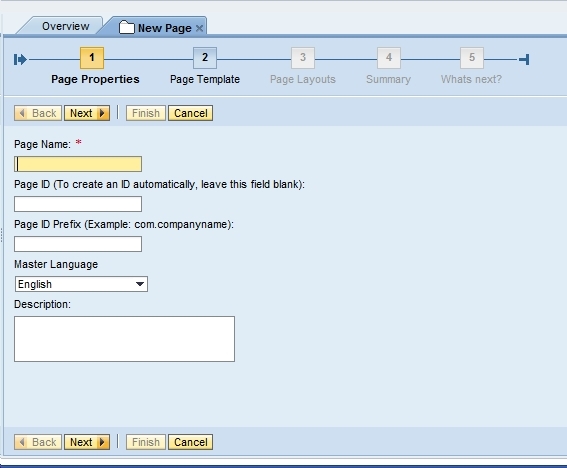 How to create a Web Dynpro Page in SAP EP. Select layouts for the new page. 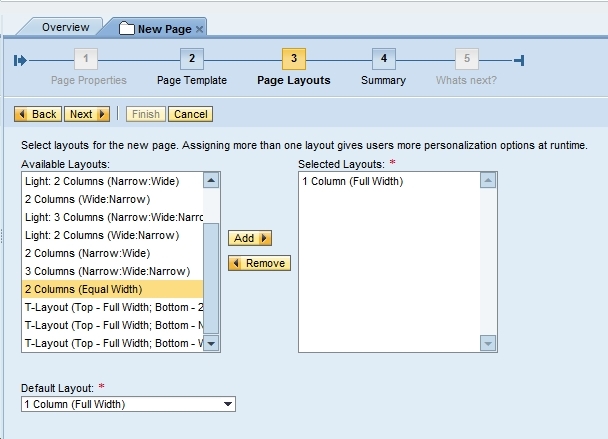 Assigning more than one layout gives users more personalization options at runtime. 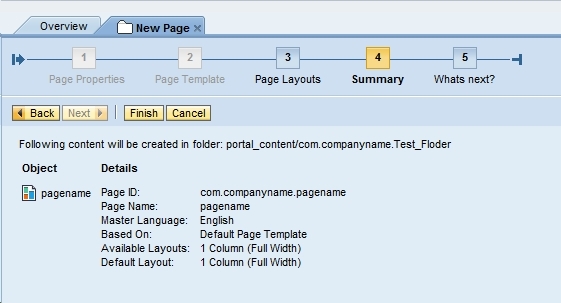 default selected page template is 1Column (full width) . select the required template's and click on add button. After adding the desired layouts and clicking on Next. the following screen will be displayed with summary of what is been maintained/created. The following screen will be displayed with whats next? and the page will also be get created in the folder. Just click on close, if you do not want to change any other property of that page. 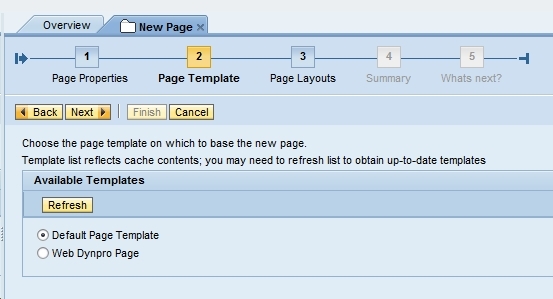 That's it now you have learned, how to create a page in SAP EP. If some thing is missing in the post/there are any uncompleted post/stuck at somewhere in your config. Your comments are respected and helps me to make the blog hold richer content. Shyam Raj+. Powered by Blogger.